These shortcuts make everything from using apps to creating graphics or videos more time efficient and less finicky. Preparing a constant stream of social-media posts that are interesting to your followers can be annoyingly time-consuming. Luckily, there are simple hacks and shortcuts you can start using right away to become more efficient at content creation—without cutting corners on quality. Number one rule for saving time on social: Always be thinking about how to spin one piece of content in multiple ways. For example, pull key points from your latest blog post to create a series of tweets or graphics with sound-bites. Gather up photos you’ve taken over time but are related in some way (perhaps shots that document boot camps or client milestones) and create photo collages (lots of apps do this for you), an Instagram carousel or slideshows (apps again, or use Facebook’s slideshow posting feature for Business Pages). Roundup videos that show you demoing an exercise and edit them together or drop them in an Instagram carousel to create a fun post about HIIT or circuit training. Video is popular on social media, but it takes time to shoot and edit. 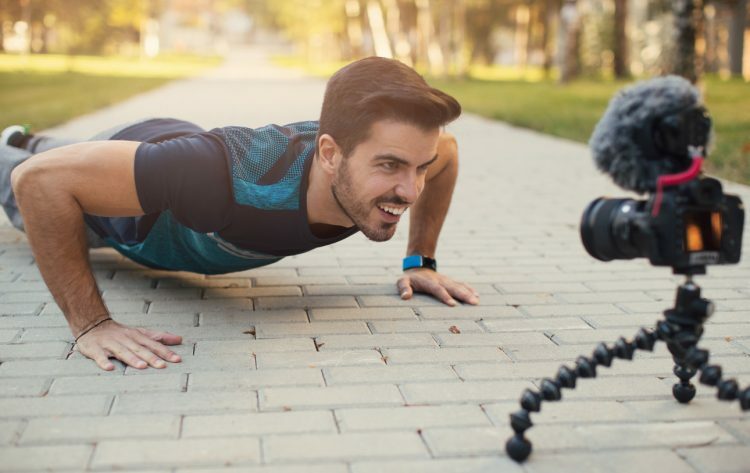 So plan ahead to get exactly what you need in one video shoot. For example, you might want a couple of minutes for Facebook or Twitter, 60 seconds for Instagram and 15 seconds for Insta-Stories. Grab a couple of Boomerangs while you’re at it. Or, shoot just one short clip that can be used on all channels (be sure to Google current video time limits for each platform so you don’t make the video too long). Another option is to film one longish video that you can edit into shorter clips with an app (suggestions: Clips, Videoshop, VivaVideo, iMovie). It takes time to get just the right shot with photos and video. For example, you might need to scout location, set up lighting or wait for the right weather, make an extra effort with hair or makeup, etc. Since all that is too troublesome to go through every time you need new images, it makes sense to shoot footage in bulk. However, you’ll need to avoid banking too much content that looks the same because followers scrolling social might register familiar images as “seen that already” even if it’s a new post. Simple solution: bring a few outfit changes and swap out background equipment for new props during the photo/video shoot. These tweaks allow you to leverage your time while ensuring that your content still registers as fresh when you post it. Apps help you create eye-catching graphics or place text over a nice photo. But a lot of photo – and video-editing apps do pretty much the same thing, which means the more of them you have on your phone, the longer it takes to master the ins and outs of each one. If you’ve downloaded a lot of photo/video apps, it might be time to downsize. Figure out which ones provide the features you rely on frequently and are the most user-friendly; delete the rest. The more familiar you are with navigating just a handful of apps, the faster you’ll get at producing content. Finally, don’t think of posted content as a “one and done” deal. The content stream never stops. With that in mind, build your strategy around reposting key pieces. You can get away with reissuing the exact same tweets on Twitter, perhaps a few days apart. For Facebook, reword the caption and send it out again at a different time and day. On Instagram, tweak the image, which of course will be easy to do using one of the go-to apps you’ve mastered.